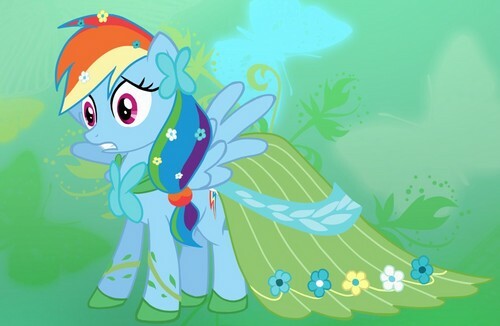 pelangi Dash in Fluttershy's Dress. I found this on deviant ART. HD Wallpaper and background images in the my little pony friendship is magic club. Inward reaction: "What is this?! I don't even..."